We’ve heard a lot of talk recently about Kentucky’s Hepatitis A outbreak, (one of the worst in the country) but what about another type of Hep virus; Hepatitis C? Infection can carry many complications, including cirrhosis of the liver, liver cancer, and the need for transplantation. Now there’s a new research project under way at UK Healthcare to identify and get into treatment those patients that are carrying the Hepatitis C virus. It’s the topic of this week’s edition of Dr. Greg Davis on Medicine. Dr. Greg recently spoke with Dr. Daniel Moore, faculty member in the department of emergency medicine at UK HealthCare who’s currently engaged in the project. While it isn’t typically the role of emergency medicine clinicians to identify chronic diseases, Dr. J. Daniel Moore, assistant professor of emergency medicine in the UK College of Medicine, knew it had to become their job. With funding from Gilead Focus, Moore has established a non-targeted screening program in the emergency departments at UK Albert B. Chandler Hospital and UK Good Samaritan Hospital where every patient over the age of 18 who comes in for treatment is tested for the hepatitis C virus when they have a routine blood draw. Patients are informed about the additional test and given the opportunity to opt out. However, about 85 percent of patients consent to having the test done. The hepatitis C virus affects the liver and, if left untreated, can have significant health impacts. Cirrhosis and scarring can lead to the need for a transplant. Inflammation caused by the virus also can cause hepatocellular carcinoma, or liver cancer. Since the program began in July 2018, 22,000 patients have been screened, Moore said. Of those,14,500 had routine blood draws and had the test performed – 1,560 patients, or 10.8 percent, tested positive for the hepatitis C virus. In the 20 to 40-year age group, the prevalence of hepatitis C is 20 percent, he said. According to the Centers for Disease Control and Prevention, approximately 2.4 million people were living with hepatitis C in 2016, and Kentucky’s rates were more than twice the national average. The CDC has also reported that of the 220 counties across the nation vulnerable to a hepatitis C outbreak, 54 counties are located in Kentucky, primarily in Appalachia. In the past, only targeted hepatitis C screenings were done – meaning only certain populations were tested for the disease, such as those born between 1940 and 1965 and people who inject drugs, are homeless or have been incarcerated. However, Moore said many patients don’t identify themselves as people who inject drugs when they speak with providers. Non-targeted screening captures those in the targeted populations as well as others who may not have been tested due to their age or because they withheld information, he said. The opioid epidemic has hit the United States hard as injection drug use has become more prevalent. While baby boomers used to be most at-risk for the bloodborne disease due to blood transfusions, the population born after 1965 now leads in rates, primarily due to the proliferation of injection drugs and the sharing of unclean needles. After identifying patients with hepatitis C, one of two linkage to care coordinators follow up with patients and work to get them into treatment. Treatment for hepatitis C is better and more effective than it has been in the past, he said. It typically consists of eight to 12 weeks of daily medication, has a near 100 percent cure rate and few, if any, side effects. Overall, about 22 percent of patients who are identified by the program are then evaluated for treatment. “No one is surprised by this data, but it needed to be collected and needs to be published,” Moore said. He is currently working with his mentor, Dr. James Galbraith at the University of Alabama – Birmingham, to write an abstract and manuscript on the program. This fall, the emergency department will add HIV testing to their non-targeted screening program, and they estimate the prevalence of this disease will be high as well, about one to three percent. The opioid crisis has impacted every medical specialty and forced clinicians to change how they practice medicine. Opioid use disorder cannot only be addressed in the field of addiction medicine. Oncology, pediatrics, dentistry, surgery and emergency departments also are changing how they prescribe opioids, screen for misuse and abuse, and treat patients in active addiction. As rates of opioid use disorder have risen, rates of hepatitis C, HIV, endocarditis and other infectious diseases have also increased. The Breast Biopsy Reveals Cancer. Now What? Last week on Dr. Greg Davis on Medicine, our host shared a very personal story about breast cancer screenings and early detection and fortunately for Dr. Greg and his wife Vanessa Oliver the prognosis was good. But what happens if the biopsy comes back and a cancer is detected? What happens then? We examine that aspect of breast cancer in this week’s segment. Breast cancer screenings are the topic of this week's edition of Dr. Greg Davis on Medicine as the host speaks with Dr. Richard Gibbs of the UK Department of Radiology on the Breast Cancer Team, as well as Greg's wife Vanessa Oliver, a dietitian with UK Health and Wellness, who recently underwent her first mammogram, and became one of Dr. Gibbs' patients. Health conditions and medications affect women’s bodies differently than men’s, so it’s important that we understand the specifics of women’s health. The University of Kentucky has long been aware of this difference and they’re also recognizing the need to better understand health and wellness for all people, including groups like people of color and the LGBTQ community who have been underrepresented in research--not just women. That’s why they’ve re-branded one of their programs to better address it. 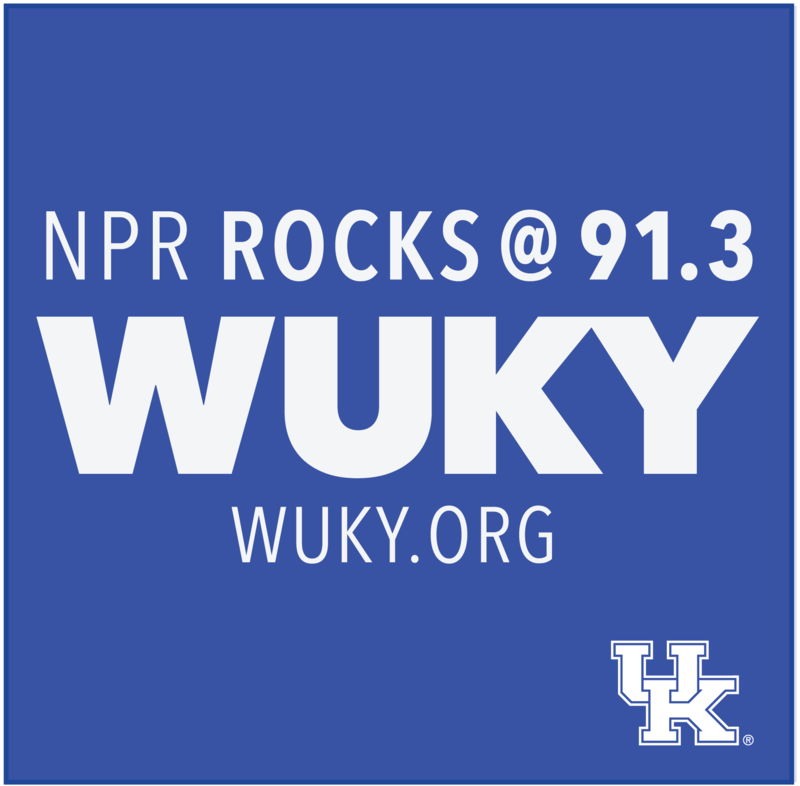 The Kentucky Women’s Health Registry and it’s new name Wellness Health and You or WHY; it’s the topic of this week’s edition of Dr. Greg Davis on Medicine. Pull up your long range day-planner and you’re likely to see separate entries on separate days for your doctor and your dentist, but a new clinic at the University of Kentucky aims to take care of these and other health needs, with one single appointment. It’s the topic of this week’s edition of Dr. Greg Davis on Medicine. Music Therapy is certainly nothing new; we’ve all known for years how music can lift a person’s mood, stir memories long forgotten, or even encourage someone to get up and get moving. Now, a new generation of aspiring medical professionals is taking these practices even further. One of them is the guest this week on Dr. Greg Davis on Medicine.